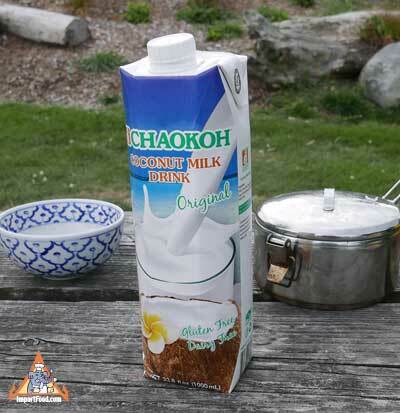 This is a brand new product from Chaokoh and we are the first to offer it. Fresh-tasting, delicious coconut milk drink that has more fat and calories than the popular coconut water drinks. Drink it straight, with coffee, or any other way you may enjoy dairy milk. Packed in a strong paper carton with convenient screw top. Ingredients: Coconut milk, coconut water, sugar, sucrose stearite as emulsifier, artificial flavor.